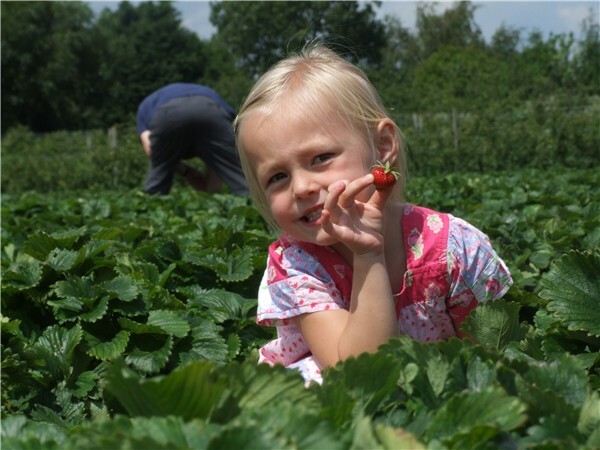 I got this wonderful shot of my daughter picking strwberrys, only to discover on viewing the rear of someone in backround please can you help me to remove. how u do that ? duplicate the image in layers pallet.......if u dont see it go to window/layers along the top. Yeah was so focused on her didn't notice some fat arse in backround. I agree, but I think that's another, different shot. I love this one, too. 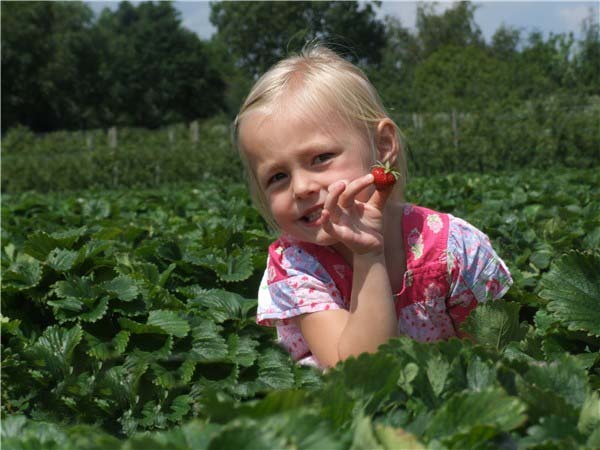 The backsidemight be that of a parent who thinks the girl is picking the strawbs and filling a container, but in fact she's eating them; hence the mischievous look. So another piece of creative cloning would be to add some pieces of strawberry smeared around her mouth!